In Between the Rain Drops… | Food It Yourself! It was mild, then it was cold. Then it was really really really cold. Then it was okay. Then it was cold and it rained. That is how 2017 has been, weather wise. I assure you the 2017 Food It Yourself garden is going to be a thing, it just might take some time. We finally got a little break from the very much needed rain this evening. Here is a quick pictorial of what I’ve got going on. 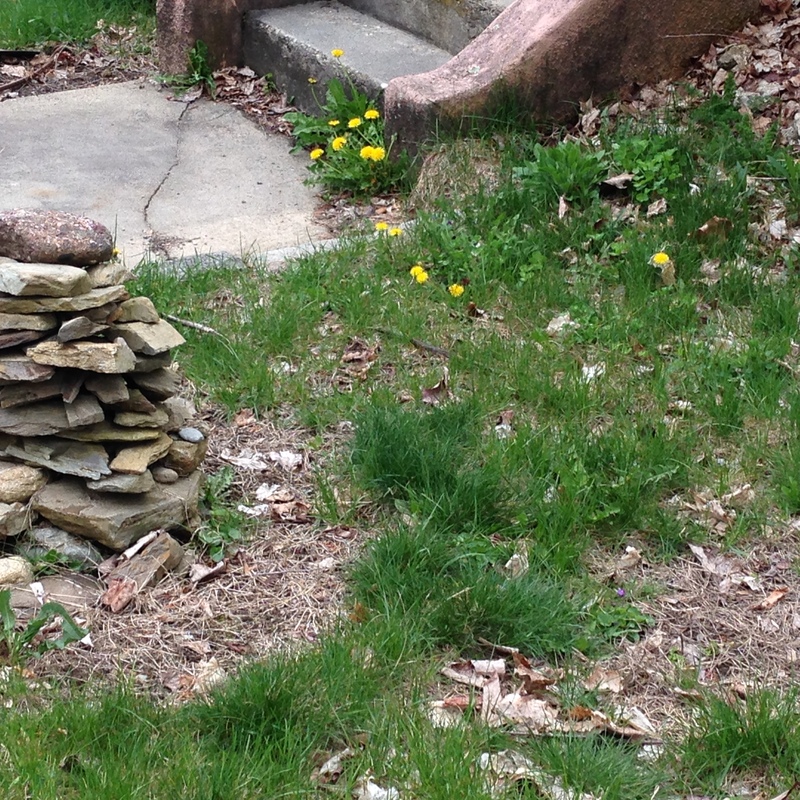 You know springtime is here when the lawn gets yellow polka-dots. And you know I leave those polka-dots right where they are. Bees need to eat. 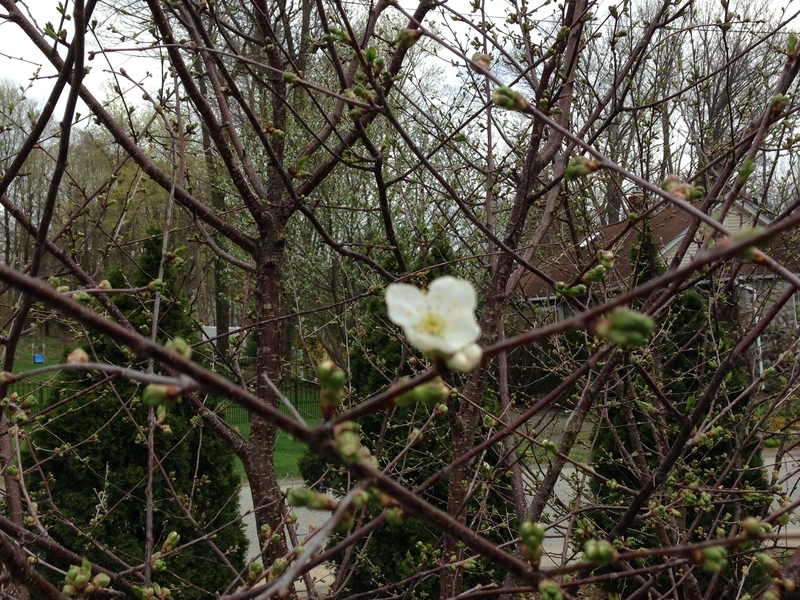 First cherry blossom sighting! W00T! Remind me to get some bird netting. The house sparrows are already eyeballing those trees. 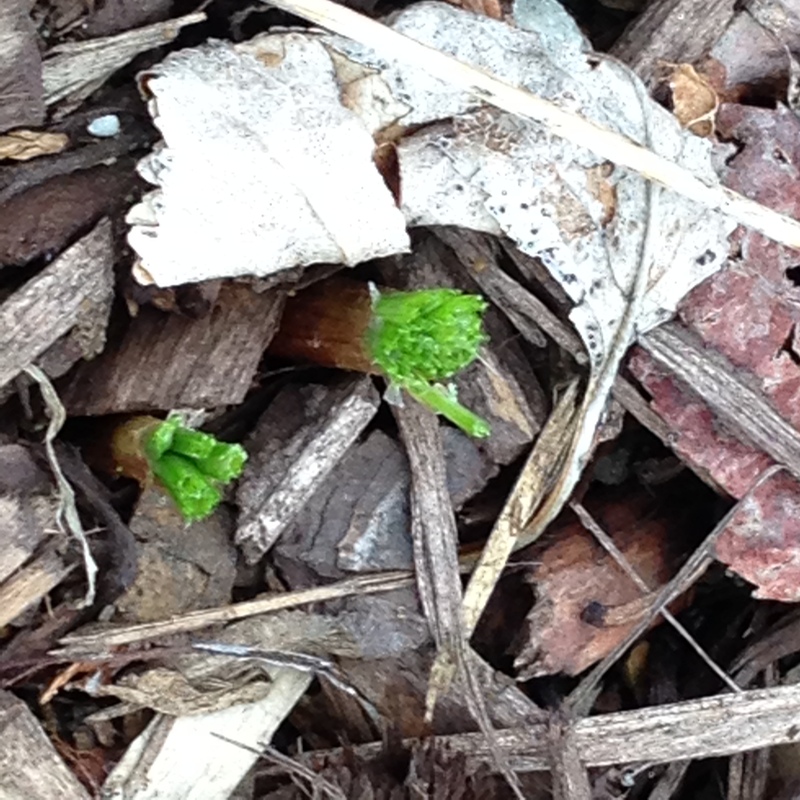 Well, the saffron crocus bulbs I planted last fall seem to have survived the irrational New England winter. However, someone or something has been snacking on them. Who in the world would have…. 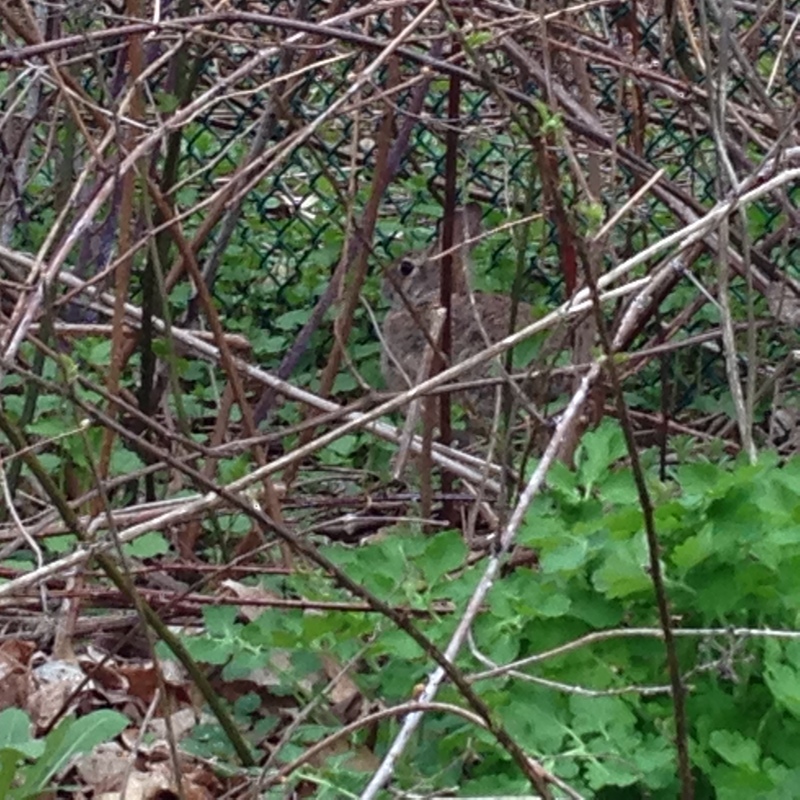 Oh yes, I have a theory about who the crocus nibbler is. 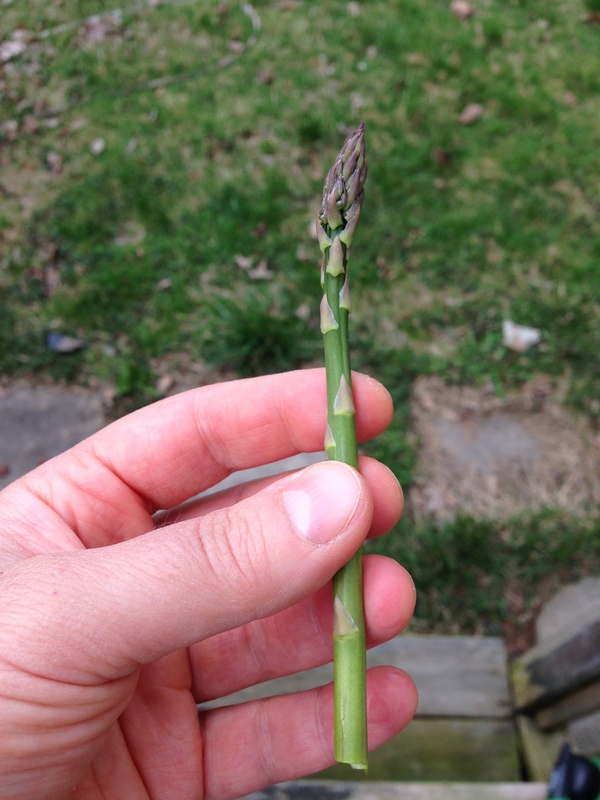 Four or five years later, we are finally harvesting asparagus. Behold our bounty! Yes, this is the whole bounty. 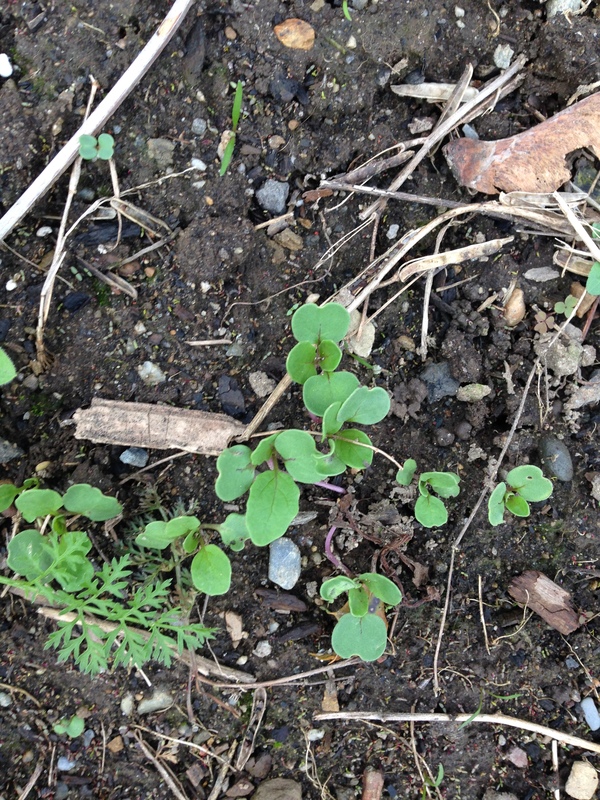 My arugula (or “nope salad” as Mr. Food It Yourself likes to call it) seems to have re-seeded itself. The best part? I don’t have to share! 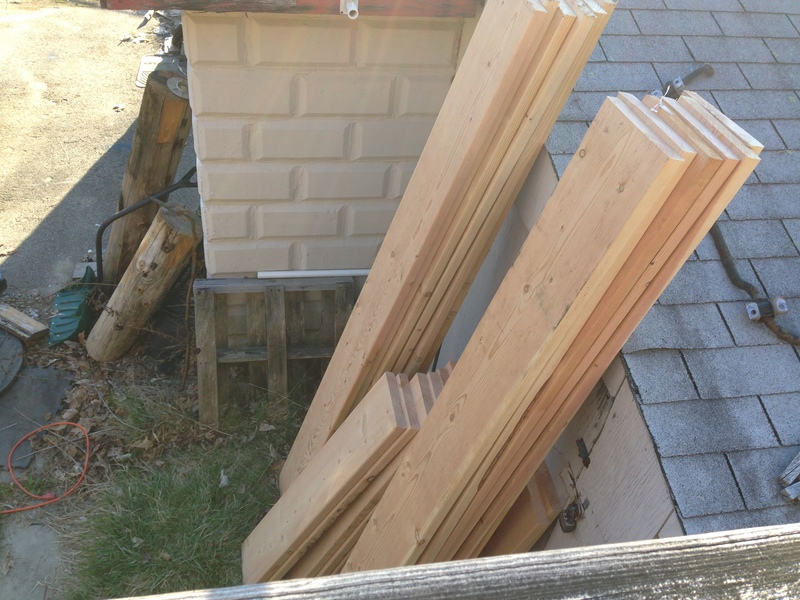 The last time we had a sunny day my dad came over and helped me cut some lumber for our soon-to-be-built raised beds. 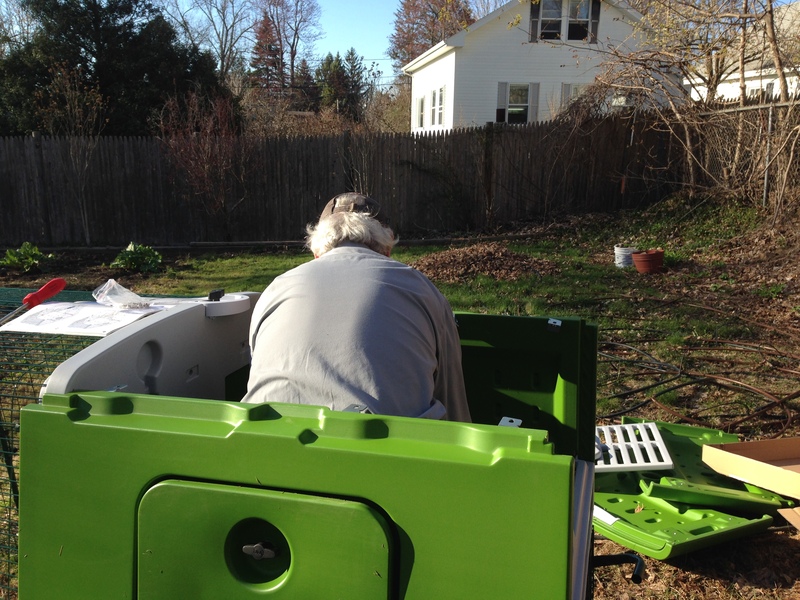 He also helped me assemble a chicken coop. That is correct. We will have chickens this year. Yes, there is rhubarb pie in our future. 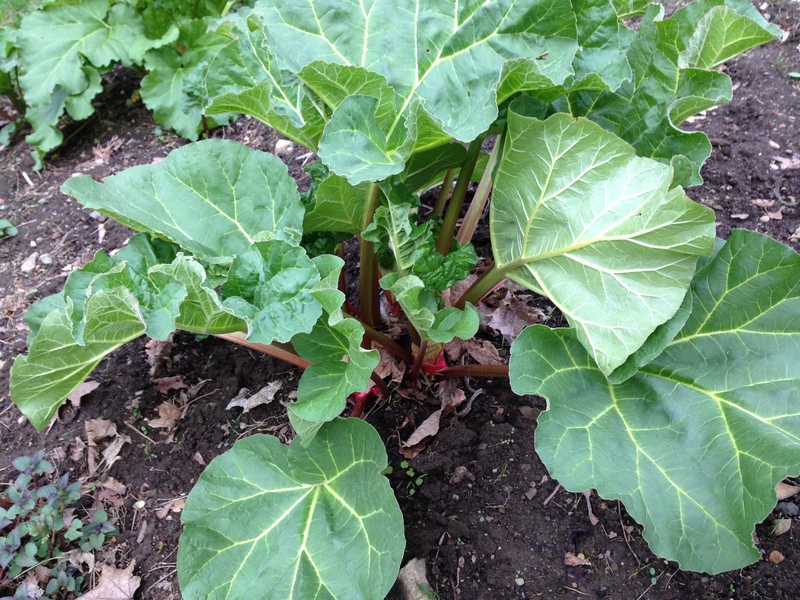 In fact, the rhubarb looks exceptionally happy right now. I am so excited for our garden this year. The rain has delayed the raised beds a bit. Not only have we been unable to build the boxes, but we can not get a loam delivery. The landscape supplier simply can not deliver us seven cubic yards of mud. However, everything is set to go, and the weather should be cooperating this weekend. I’ll let you know how it turns out. What are your garden plans for 2017? Share in the comments!